1. Regard, Esteem, Respect : عزت : (noun) the condition of being honored (esteemed or respected or well regarded). A man who has earned high regard. Honor, Honour, Laurels - the state of being honored. 2. Regard, Respect : لحاظ - طرح : (noun) (usually preceded by `in') a detail or point. Detail, Item, Point - an isolated fact that is considered separately from the whole. 3. Regard, Compliments, Wish : نیک خواہشات : (noun) (usually plural) a polite expression of desire for someone`s welfare. Pay my regards to Zirdari. Give him my kind regards. Plural, Plural Form - the form of a word that is used to denote more than one. 4. Regard, Consider, Reckon, See, View : سمجھنا : (verb) deem to be. Construe, Interpret, See - make sense of; assign a meaning to. 5. Regard, Attentiveness, Heed, Paying Attention : دھیان - توجہ : (noun) paying particular notice (as to children or helpless people). 6. 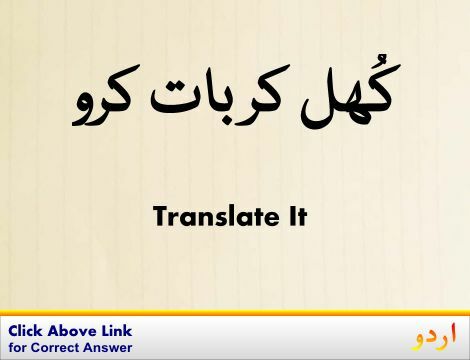 Regard, Affect, Involve : اثر ڈالنا : (verb) connect closely and often incriminatingly. Bear On, Come To, Concern, Have-To Doe With, Pertain, Refer, Relate, Touch, Touch On - be relevant to. 7. Regard, Gaze : جمی ہوئی نظر : (noun) a long fixed look. Stare - a fixed look with eyes open wide. 8. Regard, Esteem, Respect : ادب - احترام : (noun) an attitude of admiration or esteem. Attitude, Mental Attitude - a complex mental state involving beliefs and feelings and values and dispositions to act in certain ways. Practical Hints in Regard to West Indian Hurricanes. Without Regard to Race: The Other Martin Robison DelanyConsider This...: Questions That Make You Think. 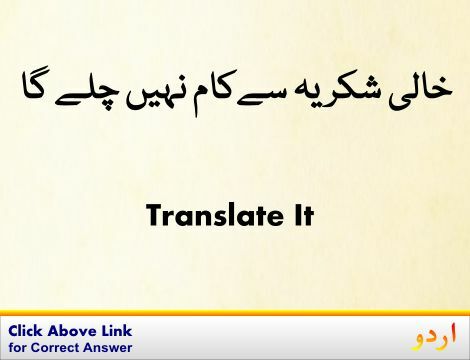 Detail, Item, Point : تفصیل : an isolated fact that is considered separately from the whole. "Several of the details are similar"
Esteemed, Honored, Prestigious : محترم : having an illustrious reputation; respected. "Our esteemed leader"
Point : نوک : sharp end. "He stuck the point of the knife into a tree"
Respected, Well-Thought-Of : عزت والا : receiving deferential regard. "Respected man"
Well : کنواں : a deep hole or shaft dug or drilled to obtain water or oil or gas or brine. Regard As : خیال کرنا : look on as or consider. Refute : غلط ثابت ہونا : prove to be false or incorrect. How this page explains Regard ? It helps you understand the word Regard with comprehensive detail, no other web page in our knowledge can explain Regard better than this page. 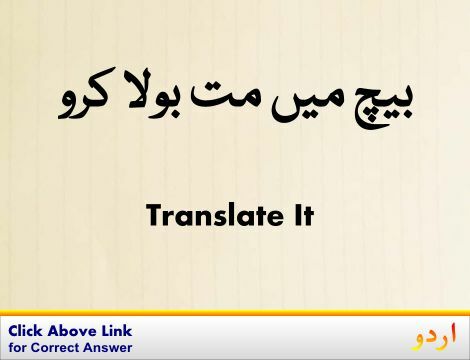 The page not only provides Urdu meaning of Regard but also gives extensive definition in English language. The definition of Regard is followed by practically usable example sentences which allow you to construct you own sentences based on it. You can also find multiple synonyms or similar words on the right of Regard. All of this may seem less if you are unable to learn exact pronunciation of Regard, so we have embedded mp3 recording of native Englishman, simply click on speaker icon and listen how English speaking people pronounce Regard. We hope this page has helped you understand Regard in detail, if you find any mistake on this page, please keep in mind that no human being can be perfect.